Norah is a very sweet doe with a calm personality. She is great to have for showmanship classes and stands very well in the ring. Norah kids easily; all of her kids have been of good size and conformation. Our 2016 retained doeling from her, Norah'easter, continues to place well in our 4-H shows and we just lover her. Grainne is one of my favorite does. She is a great mother to her babies and has a big personality. I love her body capacity, front end assembly, and well-attached udder. I would like to see her have a longer, more level rump however she makes up for it in her general appearance and milking ability. She places consistently well in 4-H shows and was first in her class at the 2016 ADGA sanctioned Final Fling. 2014 - first freshening, 2 doelings and 1 buckling. New to our herd is Apache Downs lil Brown Sugar. She is sired by MCH God's Love Farm Tough lil Dude. Her Dam, Pocket Sized ML Yet 2B Summer 1*M scored a VEEV 88 on her linear appraisal this year. Hopefully she will help us with our goals for more capacious udders and stronger hind end assemblies in our herd. I am excited to announce that we are retaining one of Norah's 2015 doelings, Norah'easter. She has a sweet personality and shows potential in the show ring. Her sire, Honey Meadows MY Topaz is the son of Rosasharn SP Mercury *+B who is a truly beautiful, structurally correct buck. Topaz brings some impressive genetic potential to his kids. Update - August 2016. As Norah'easter matures I love her more and more! She shows good body capacity, dairy strength, stature, and more. She placed 2nd in a very large class of yearling Jr. does at the 2016 ADGA sanctioned Final Fling show. Fairlight is one of Grainne's 2014 doelings. She is very loving & sweet, always coming to the fence for pets. We were blessed to have Phoenix Farm Knight Rider S* B* as a lease buck in 2014 and just had to retain a doeling out of him! We are retaining Grainne's 2016 doeling! Sugars 2016 doe kid, Tiramisu, is retained. We are so thankful to Lady Walkers Farm for selling us a quality Jr. Buck! We have been blessed to receive buck service for the past three years but decided it was time to keep our own buck. Lucy is a beautiful creamy white doe with a sweet disposition. 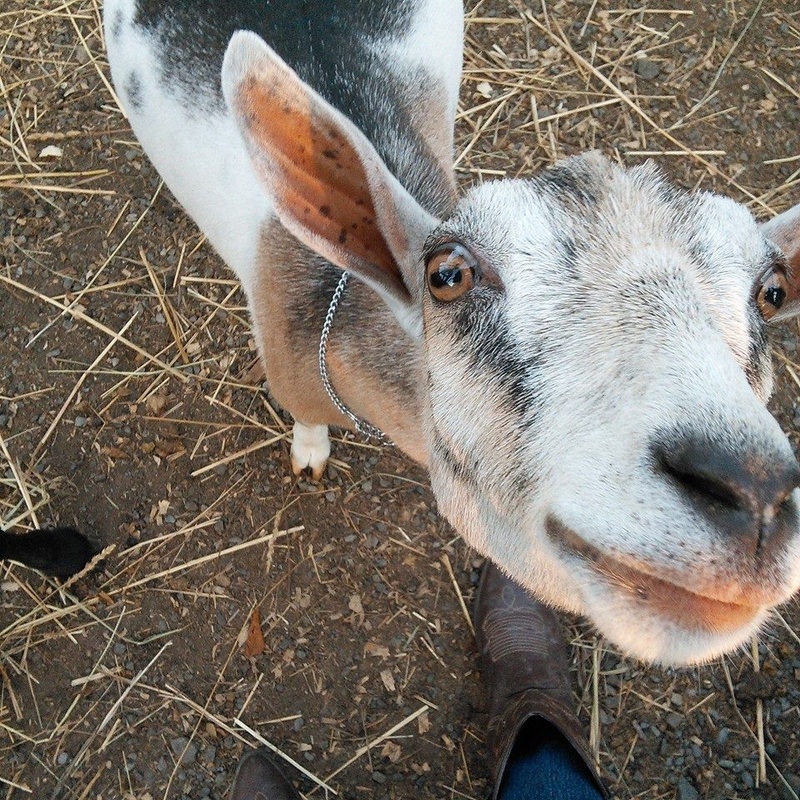 She loves peppermint treats and being petted on her own terms. 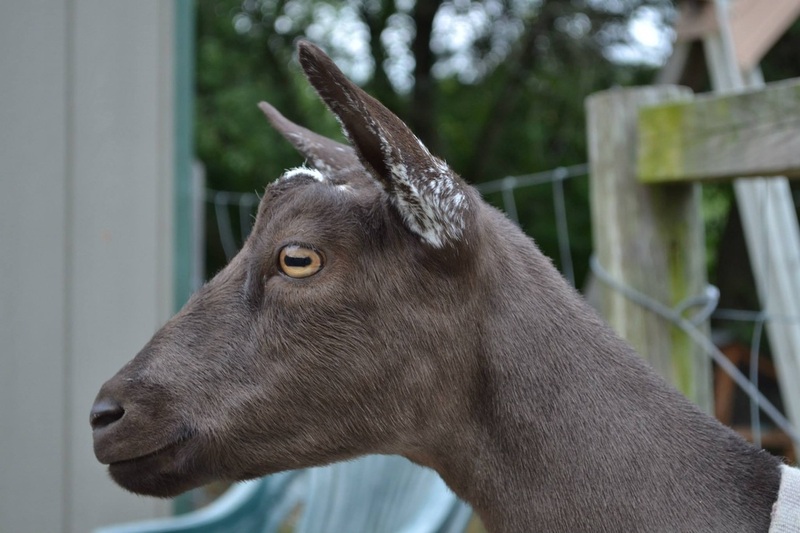 Her genetics can be traced back to Hawks Mountain Ranch Divinity, a permanent PBA champion, and Millers Farm Eeyore, the first PBA permanent grand champion buck. Lucy's 2015 doe kid, Eleanor, holds a special place in my heart as our first pygora kid born. 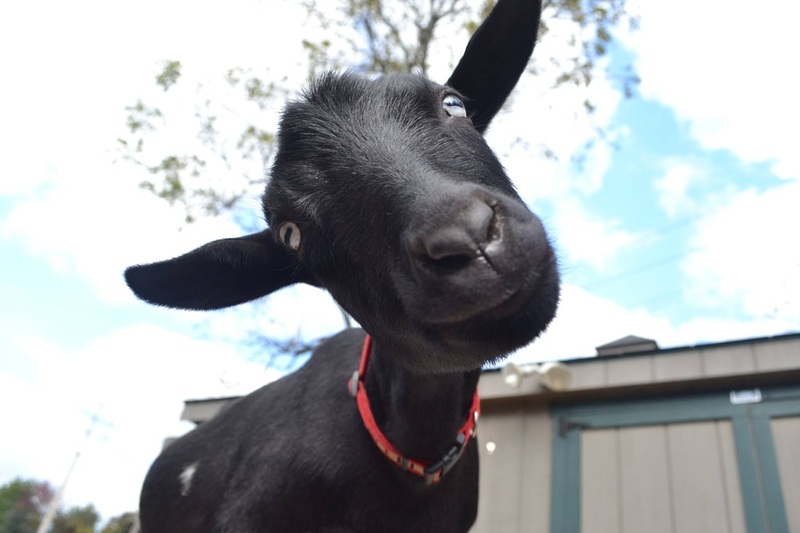 Her personality is always hilarious - she is shy yet boisterous, always doing quirky things and getting into trouble like a true goat. Her fleece could be more consistent from shoulder to britch, but is still wonderful to work with. 2015 Hunterdon County Goat Show, 1rst in her class. Our barn would not be complete without these cute little boys gracing us with their charm and intelligence. 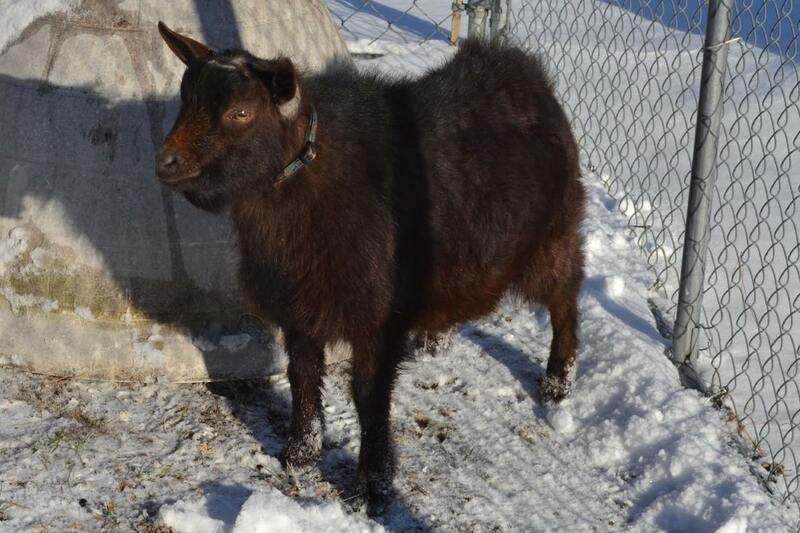 Bailey B was our first goat and will always have a special place in our herd as a wonderful companion. Lorcan is the brother of Norah and Grainne. He is incredibly curious, strong, and very rambunctious. He has a tendency to be compulsive, and often leaps before he looks. Despite his rather goofy side, he is an incredibly sweet wether who loves to curl up and snuggle.